Oxide reducibility is an important property in catalysis by metal-oxides. The reducibility of an oxide can be substantially modified when an interface is created between the oxide and a metal. Here we discuss two types of interfaces. One consists of gold nanoparticles deposited on anatase TiO2 or tetragonal ZrO2 (101) surfaces; these are traditional direct catalysts (metal deposited on an oxide). The second example consists of a metal support, Pt or a Pt3Zr alloy, where a ZrO2 nanofilm is deposited; this is representative of an inverse catalyst (oxide on metal). We designed models of these systems and analyzed by means of first principle calculations a key descriptor of the oxide reducibility, the cost of formation of an oxygen vacancy. We show that this cost is dramatically reduced when the oxide is interfaced with the metal. The effect on catalytic reactions is analyzed by computing the energy profiles for the CO oxidation reaction on Au/TiO2 and Au/ZrO2 model catalysts. Despite the very different nature of the two oxide supports, reducible for TiO2 and non-reducible for ZrO2, the same Au-assisted Mars–van Krevelen mechanism is found, with similar barriers. The work has been supported by the European Community’s Seventh Program (FP7 Nanosciences, Nanotechnologies, Materials and new Production Technologies) FP7/2007–2013 under Grant Agreement No. 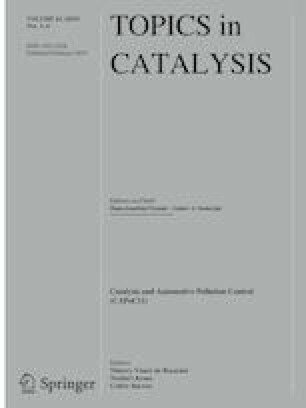 607417—European Marie Curie Network CATSENSE, and by the Italian MIUR through the PRIN Project (Ministero dell’Istruzione, dell’Università e della Ricerca) 2015K7FZLH SMARTNESS “Solar driven chemistry: new materials for photo- and electro-catalysis”.